PagBrasil’s Payment Link solution is an evolution of our offline payment option, which is mainly aimed at sales via call centers, IVR systems and manual collection of specific goods or services sold into Brazil. It also provides the possibility to start processing payments right away without the need for any technical integration. Payment Link was created to make both online and offline payments safe and compliant with the highest standards of payment processing security. Merchants therefore benefit from PagBrasil being at the highest level of PCI compliance – PCI Level 1, version 3.2. Payment Link is a payment page that embeds our secure iFrame. Merchants can generate payment links via API or simply access PagBrasil’s dashboard manually, without having to undergo any technical integration. 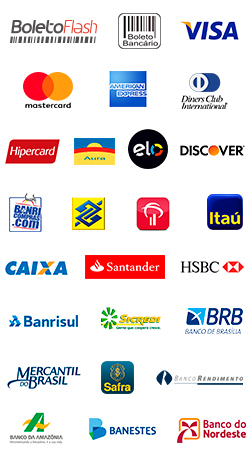 The Payment Link solution supports all payment methods provided by PagBrasil, and all its features are compatible. It works both online and offline. Online consumers are sent to the secure payment page where they enter the payment details for a specific transaction. Call center agents can process offline transactions, for instance, completing the secure form with the information provided by the buyer over the phone. For offline boleto bancário payments, PagBrasil’s web-based tool generates a boleto URL, and merchants can then send the link by email, SMS, Messenger or WhatsApp to customers for payment. It is worth mentioning that merchants can add a customized message of up to 250 characters to the footer of the payment page. Furthermore, the layout of the page is completely responsive, adapting perfectly to any mobile screen size, browser and operation system.